Meraki is a Greek word meant to inspire the process of learning and creating something out of hobby, passion or desire. Himalayas do the same thing to you. 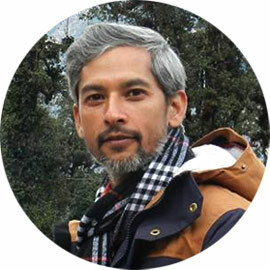 Himalayas have lived long enough to inspire and fuel the dreams of humankind to achieve the greater goals in life with humble and focused approach. Meraki Triangle is an art-house in the Himalayas with three sides of the triangle representing Homestays, Adventure Camps & Café. We aim at providing comfortable hospitality at the remotest of the locations with a taste of art and culture. An art house in the Himalayas? Throughout the history of mankind, humanity has drawn inspiration from nature in its pursuit of creativity – be it artisans, artists, writers or musicians. While the world is bestowed with innumerable grandeur of nature in various forms, the majestic Himalayas - draped in snow – are something our puny imagination can hardly comprehend. Rising far above the clouds, Himalayas are a stairway to heaven that sparks purest form of creativity. That is where Meraki Triangle comes in. Meraki Triangle celebrates myriad artistic expressions, creative freedom and strives to bring artists and art enthusiasts under one roof. This unique hospitality project is an aesthetic blend of services with an aim to provide an artistic experience to the guests where they will not only enjoy a comfortable stay amidst the natural beauty but also get a chance to appreciate the different art forms and interact with various artists. Meraki Triangle will also act as a platform for aspiring artists, who are pursuing their dream with utmost dedication and sincerity, to showcase their work and even find a patron for their art. The hospitality project hopes to bring social inclusiveness through art and string together a bond of friendship between guests and locals. Each individual has something he or she can offer to the world. The idea behind sharing knowledge with the natives and honing their skills while drawing inspiration from their culture, their tradition, their simplicity as well as immense beauty all around us is what the word ‘meraki’ conveys– to put your soul into something. For instance, a photographer can organize photography workshop educating trek guides residing in the valley while an artist arrange an art workshop for local kids. They say art is therapeutic. If art is therapy, Meraki Triangle is your refuge! Meraki Triangle is going to launch another project at Chopta (Uttarakhand) very soon. Stay Tuned !! 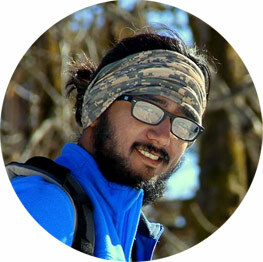 A passionate traveller, digital marketing expert and co-founder at eUttaranchal.com. 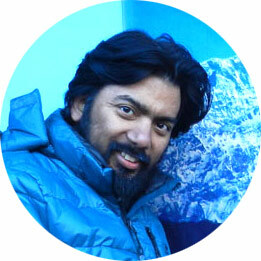 An explorer, camera expert and founder at Rise On Himalayas.